UK: Boskalis has signed a five-year framework agreement to repair subsea cables for transmission links between the UK's onshore grid and its offshore wind farms. The marine contractor will ensure its vessels are available and cable storage facility in the port of Vlissingen in the Netherlands are available for offshore wind infrastructure company Transmission Capital Partners (TCP) as part of the deal. TCP operates and maintains the transmission links between the UK’s onshore grid and the Barrow, Gunfleet Sands, Ormonde, Robin Rigg, Lincs and Westermost Rough offshore sites. Dominik Adamus, commercial director at TCP, said: "This framework agreement will further support our drive toward reducing the time and costs of repairs." 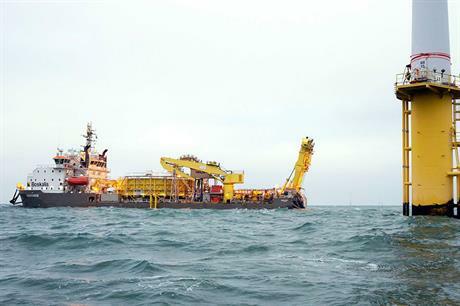 Boskalis’ subsea cables’ business was formerly known as VBMS prior to a rebranding in April.